Cast on the number of stitches required evenly across 4 DPNs. Work in rib pattern; K2, P2 for 1.5 cm or as you prefer. 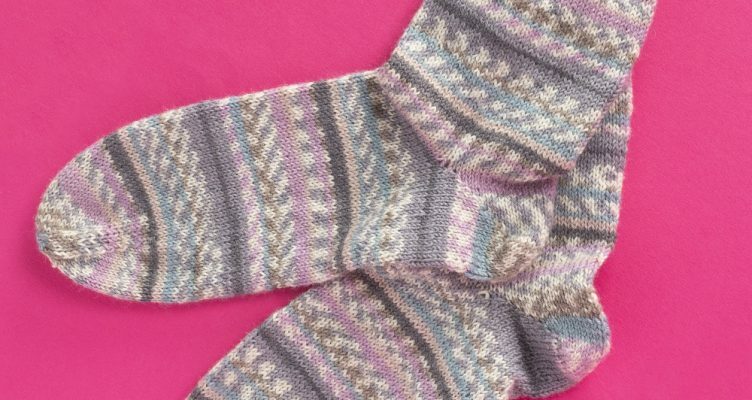 K in each stitch of every row until you reach the length you prefer before starting the heel. Leave half of the stitches on 2 DPNs. Now we are only going to work on the other half. 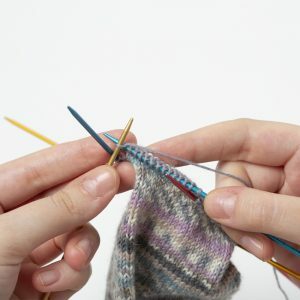 For the best heels, be careful to tighten every stitch you are knitting on. And don’t forget to add stitch markers to start and endpoint. Row 1: K each stitch except last stitch, Turn. To skip last stitch causes small space between knitted stitches and last stitch. The last stitch before space will become the first stitch for next row. Row 2: Slip 1 st, K to each stitch except last stitch, Turn. Row 3: Slip 1 st, K to each stitch except last stitch, Turn. Repeat row 2-3 until 12 sts leave in the middle. Row 1: K each stitch except the last stitch. Knit last stitch and first stitch after space together, 1inc, Turn. Row 2: P to each stitch except the last stitch. Purl last stitch and first stitch after space together. 1inc, Turn. Repeat row 1-2 until all space has been knitted. K until you reach the length of your feet size. 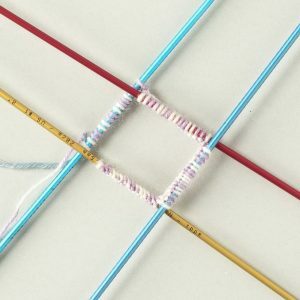 Divide all stitches to 4 needles equally. Add stitch makers to separate them. Row 2-3: K each stitch. Row 5: K each stitch. Row 7: K each stitch. Row 9: K each stitch. 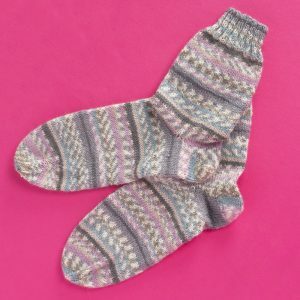 Use Kitchener Stitch sew to close the sock. Row 5-6: K each stitch. Row 8: K each stitch. Row 10: K each stitch. Row 12: K each stitch..
Row 2-4: K each stitch. Row 6-7: K each stitch. Row 9-10: K each stitch. Row 12: K each stitch. Row 14: K each stitch. Row 16: K each stitch. Row 18: K each stitch. 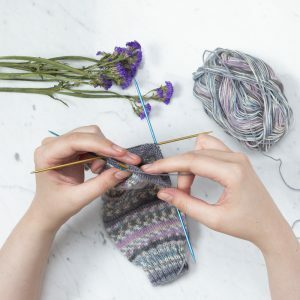 Use Kitchener Stitch to close the sock toe.